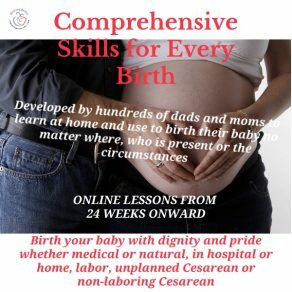 One of the three skills-set in Birthing Better comprehensive childbirth preparation online course. 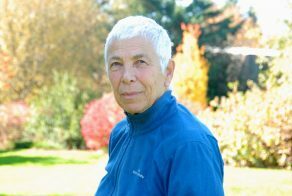 If you want to focus only on great birth breathing, touch and communication that are also great birth-coaching skills then this course is for you. 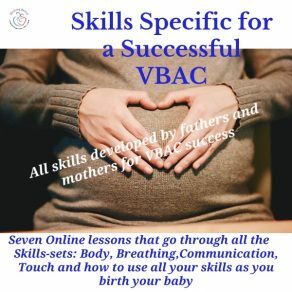 WHAT: Learn probably the three most important birth and birth-coaching skills … good breathing patterns, non-verbal and verbal communication and effective touch. Discover the difference between ineffective techniques and effective skills … those that adapt, adjust and are sustainable at every moment of your birth and every type of birth. Based on the 4 ways all humans breathe, create a shared common communication designed for birth and use the unknown 5th body system … our connective tissue to cue internal softening. HOW: The six lessons use mixed-media. Like all Birthing Better online courses, the material is mobile friendly. In this course, It’s best to go through the lessons as recommended and in order. You can start anytime after 24 weeks pregnancy and easily learned just before the birth if necessary. All the skills are backed-up by plenty of exercises so you learn these three vital skills deeply. WHY: As a woman, you strive to remain in control in birth. You want your partner to know how to help you effectively to maintain that control. Every birth-coach wants effective skills to help you manage and cope. You’ll learn all these skills from your own role and from the task of your partner. Birthing Better skills are unique compared to other childbirth preparation material. These skills are found nowhere else. Created by fathers and mothers and refined through many thousands of births. 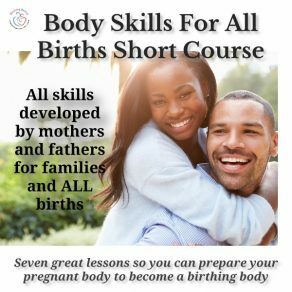 LESSON 1 … Explore how effective birth and birth-coaching skills must be based on our shared human experience. Birthing Better families spent years developing the most effective breathing, communication touch skills so they worked every time. LESSON 2 … You’ll dig deeper into the 4 breathing patterns used by all humans. You’ll learn the variations of each breathing pattern then find the ones that will give you sustainable, adjustable and adaptable breathing skills. Discover how you can direct your breathing to ease pain and discomforts as well as create space inside your pelvis to help your baby move down, through and out. 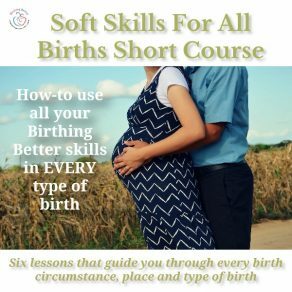 LESSON 3 … Develop non-verbal birthing signals that your birth-coaching partner will understand to help you cope and manage well. You’ll feel assured of being understood. Also, create a unique verbal partnership with your birth-coach. Being understood is so important! Finally, let’s debunk the myth that fear of birth will hinder your birth. Learn to use your skills even if you have negative feelings and thoughts. LESSON 4 … You’ll learn the right place, right time and right manner in which touch will help you focus your attention on reducing any internal tensions. Then explore the 4 types of tension: conscious, unconscious, stretching and structural and how to reduce them where they count … inside your birthing pelvis. LESSON 5 … Get real about the causes of birth pain and how to stay on top of it. Learn to read each contraction from your baby’s viewpoint so you can keep your labor progressing. Learn the skills to work through each phase of every contraction … a whole new concept. LESSON 6 … A good strong reinforcement for practicing these skills until they feel second nature. Birth unfolds in unexpected ways. Birthing Better families were determined to have great skills for every type of birth and they will work for you.